Learn about the people involved in the daily running of the CBS Public-Private. Annette Risberg, Associate professor at Department of Management, Society and Communication (also Professor of Organization and Management, Inland Norway University of Applied Sciences). she has worked as CBS since 2001 and has served as PhD coordinator and Programme Director. She is curious over what happens when the private becomes public; that is when your private becomes an organizational matter. Therefore, her main research focus is how to include and integrate employees in organisations. Throughout her research career, she has studied this within the fields of Mergers and Acquisitions and Diversity Management. 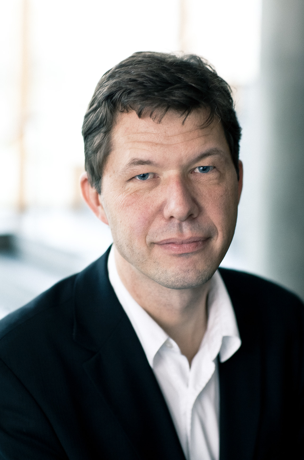 Carsten Greve is a professor of Public Management and Governance at Department of Business and Politics, Copenhagen Business School. His research areas are public-private cooperation and partnerships and public management in a comparative perspective. 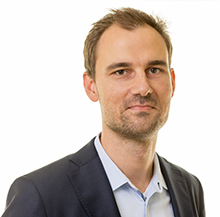 Carsten's research concentrates on institutionalization of markets for public service delivery, privatization, public-private partnerships and regulatory reform, and public management reform and new approaches to public management-, leadership- and governance, including New Public Management. Theoretical inspiration comes from policy analysis, recent theories on public management and governance, regulation theory and historical institutionalism in comparative politics. 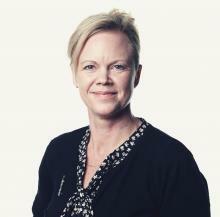 Christina D. Tvarnø is professor in Public Private Law at the CBS Law Department. Her main research areas are Public Private Partnerships, contract law, partnering contracts and legal theory. For more than 15 years she has conducted research in PPP and partnering contracts in the Danish, British and US construction industry and the pharmaceutical industry in general. Furthermore, she has investigated the impact from EU law on the negotiations, the incentives and the implications on PPP and partnering contracts. Christina D. Tvarnø has published her research in both Danish and international top Journals as Harvard Business Law Review, Duke Journal of Comparative and International Law, Journal of Strategic Contracting and Negotiation, Public Procurement Law Review, and The Danish Legal Gazette, UFR. Through her research, she has defined PP and partnering contract as type of contract based on trust, corporation, open books, joint utility and positive incentives. She has provided a legal definition of PPP and partnering contracts based upon an applied economic approach, explaining the efficient contractual output based upon the contractual content stated above. Furthermore, Christina D. Tvarnø has presented her research on international research conferences in e.g. New York, Melbourne, Kuala Lumpur, Vancouver, London, and Beijing and she has managed several international and Danish research projects concerning EU law, PPP and partnering contracts and the collaboration among the public and private sector. 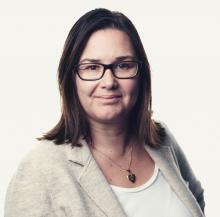 Additionally, Christina D. Tvarnø provides supervision of legal PhD students at the law department and she is research manager of the "market"-research group at the Law department at CBS. Mitchell Dean is Professor of Public Governance and Research Director of Politics in the Department of Management, Politics and Philosophy at CBS. He was previously Professor of Sociology at the University of Newcastle and Macquarie University, Australia. At the latter, he was also Dean of arts and social sciences from 2002-2009. His research has addressed the fundamental question of how we govern and are governed from a number of perspectives, historical-genealogical, conceptual-theoretical and critical-diagnostic. He is the author of Governmentality: Power and Rule in Modern Society (Sage, 2nd edn, 2010). His most recent books include The Signature of Power: Sovereignty, Governmentality and Biopolitics (Sage, 2013) and, with Kaspar Villadsen, State Phobia and Civil Society: the Political Legacy of Michel Foucault (Stanford U.P., 2016). He is currently working on practices of political acclamation and the oath, and on a Velux foundation funded project on the ethos of office. 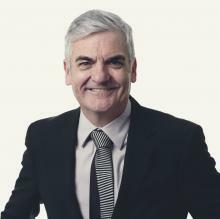 Paul du Gay is professor at the Department of Organization at Copenhagen Business School, where he directs the Velux Foundation Research Programme ’What Makes Organization? : resuscitating organizational theory/re-vitalising organizational life’. Paul has written extensively on questions of identity and ethics in public service, on office holding and bureaucracy, and on various aspects of public governance. Paul's publications include In Praise of Bureaucracy (2000), The Values of Bureaucracy. (2005), and Organizing Identity: persons and organizations‘after theory’ (2007). He has just completed New Spirits of Capitalism? Justifications, Crises and Dynamics (2013, edited with Glenn Morgan). 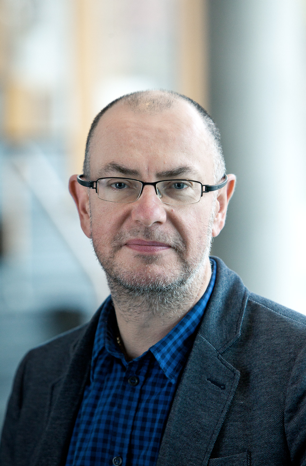 He is also compiling and editing The Oxford Handbook of Sociology, Social Theory and Organization Studies: contemporary currents (with Paul Adler, Glenn Morgan and Mike Reed). 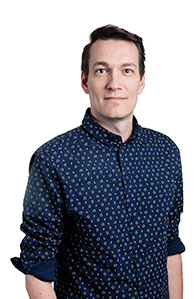 Jesper Bjørn is the Public-Private's Project Manager and holds the responsibility upon the core task of managing the Public-Private as an organisational entity, for managing and developing the unit’s research and the dissemination of that work as well as to develop a more strategic agenda. Jesper is Cand.merc.fil. from CBS. Amalie Toft Bentsen is the unit’s student assistant. Her main area of responsibilities are the managing the Public-Private's communication, including areas such as the newsletters and the social media.